My content approach is based on design thinking principles and a UX perspective. I have been particularly active as a writer, editor, researcher, and strategist in the Dutch Design scene including Dutch Design Week, Dutch Cuisine, and the Design Academy Eindhoven. I write ebooks, museum exhibition texts, magazine articles, web copy, blog posts, social media posts, email correspondence, educational course descriptions, event invitations, press releases, and more. Beyond creating original content, my services include proofreading, copyediting, graphic design, ghost writing, and branding. My rates are based on the Editorial Freelancers Association Editorial Rate Chart. STRP Biennial 2017 English Translation: I was asked to do a combination of editing and translation to improve the English version of the event description for the STRP Biennial 2017 website. The STRP Biennial takes place in Eindhoven and is the largest creative technology event in the Netherlands. The original translation was by a native Dutch speaker. I used the original Dutch text and the first English translation draft in combination to create an improved text for the English version of the official website. Earth to Table Invitations: Dutch Cuisine asked me to create formal invitations and culinary event titles in English for a series of special dining events during Dutch Design Week 2016. The series was called Earth to Table and occurred at various locations in Eindhoven, the Netherlands. The Dutch content on the site is a translation of my original English content. Invitations were also sent out by email. This was part of a larger project that included the creation and curation of content for billboards, press releases, media sources, and the Dutch Design Week website. Parties involved included Mattmo Creative in Amsterdam, Dutch Cuisine, Onkruidenier, Atelier NL, and (H)eerlijk Anders. Design Your Own Adventure with Instagram: Collette Travel requested a couple of articles for their Traveling Well blog. This article on using Instagram as a travel tool was chosen from a list of 15 title suggestions I generated for the Pawtucket, Rhode Island based world tour company. MeetingPulse Ebook Rewrite: San Francisco tech startup MeetingPulse hired me to copyedit an ebook that had been created for them by a local content marketing firm. The document had so many errors that what began as an editing task ultimately became a full rewrite. 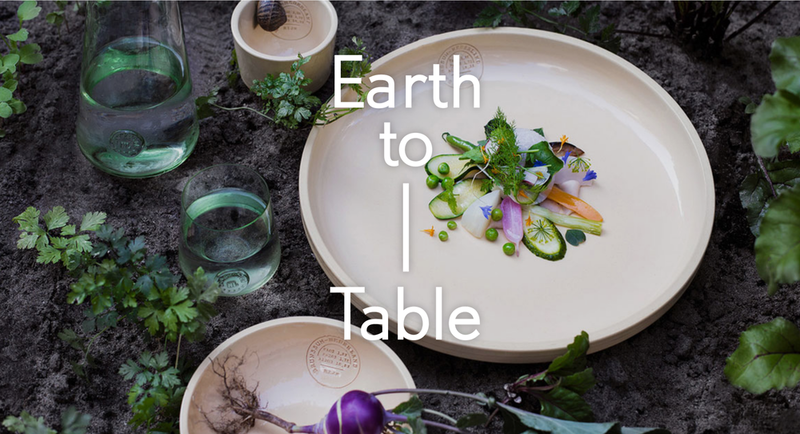 Earth to Table Press Release: Dutch Cuisine, Mattmo Creative, Atelier NL, Onkruidenier, and (H)eerlijk Anders collaborated during Dutch Design Week 2016 around a culinary event called Earth to Table. Enclosed is the official press release for the event. I wrote the English version, which was then translated into Dutch and edited by Dutch journalist Annemiek van Grondel. English Copyediting for Dutch Publication: Several Dutch designers were interviewed for Connect the Dots' 2015 Social & Green Design Guide, which was specific to Dutch Design Week. Journalist Annemiek van Grondel wrote the articles in English, but her native language is Dutch and the interviews were conducted in Dutch. I was approached shortly before publication to quickly bring the articles up to a higher standard of English. Earth Alchemy Factory Title and Introduction: I was asked to create a title for Atelier NL's new museum and production space on site at the Bergmann Church in Eindhoven. Enclosed is one of the web texts I wrote to introduce the factory to the public. The Earth Alchemy Factory opened during Dutch Design Week 2016. New Material Award Application: Atelier NL, a design studio in Eindhoven, applied for the 2014 New Material Award, which is only available to Dutch designers. I wrote the text, which the studio then formatted into a formal document including images of work relevant to their Sandglass project. Create Out Loud: Peek & Poke Project Description: In preparation for her Dutch Design Week talk show Create Out Loud, Dutch TV personality Isolde Hallensleben sought me out to create content and provide strategic advice. This document describes her plan to unite students from the Design Academy Eindhoven and the Technical University Eindhoven in a collaborative live event specific to Dutch Design Week. The event is supported by both academic institutions, along with MU in Eindhoven. This is an ongoing project and will likely take place during DDW 2017. Milan Design Week 2017: Exhibition item description for InResidence Design Dialogues' group exhibition titled "Talisman: Contemporary Symbolic Objects." Collector's Box Description: Richard Fortey of the BBC and British Geological Society commissioned Atelier NL togather natural materials from Grim's Dyke Wood on his personal property in England. I wrote the description of the box for various publications and my writing was included in Fortey's recent book The Wood for the Trees.